Hey You!!!! 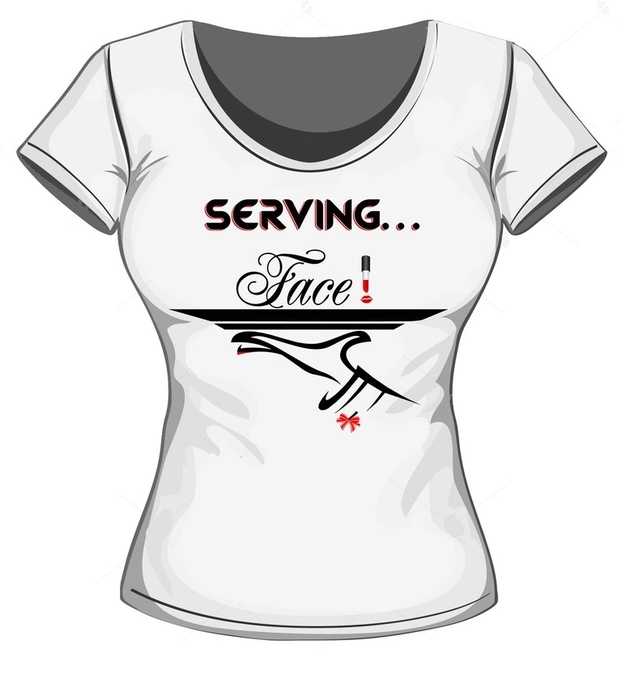 Welcome....Are you ready to Serve FACE??? ....But first READ a few simple rules below! -Deposits are Non-refundable and Non-transferable. -Early morning start NOT available on Weekdays. -For safety purposes I have a NO KIDS policy. (Please come alone unless a service is being done). -Please add travel to any private location, traveling will incur an additional travel fee. -Payments by credit cards will incur a transaction fee. 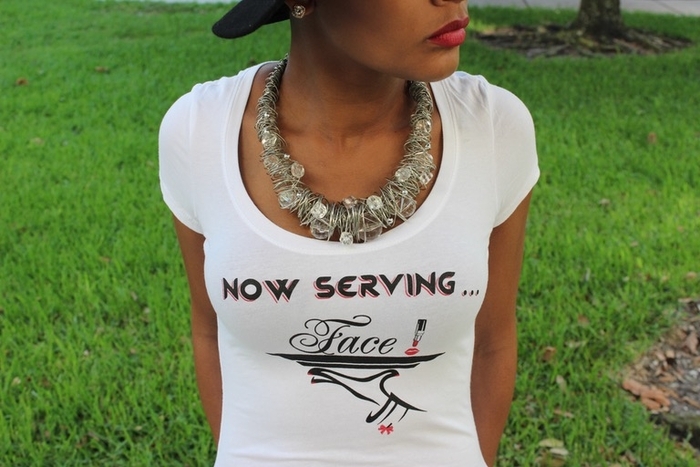 Located in Beautiful West Palm Beach Florida!! Going to Sunday Brunch?? 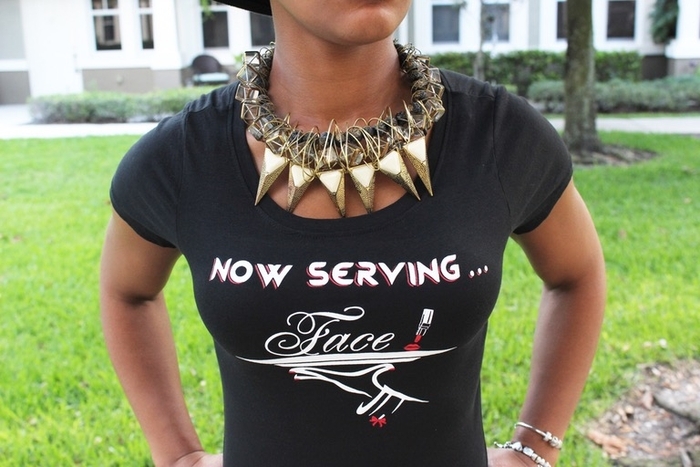 Make sure you are “Serving Face”... Natural Makeup application with lashes included. Brow fill-in, a basic neutral and earth-toned eye shadow colors, mascara, concealer and or foundation, and a neutral lip color. Brow sculpt and fill-in, basic eye shadow colors of your choice, strip lashes, concealer and or foundation, and a lip color of your choice. Brow sculpt and fill-in, cut crease or glitter eye shadow colors of your choice, strip lashes,concealer,foundation,highlight & contour,blush, setting powder, a lip color of your choice and a long lasting makeup setting spray. Brow sculpt and fill-in, eye shadow colors of your choice, strip lashes,concealer,foundation,highlight & contour,blush, setting powder, a lip color of your choice and a long lasting makeup setting spray. "Fetish" application can usually last 2-5 days depending on clients care after service is done. I recommend NOT getting them wet for extra security. Mink Lashes are re-usable up to 20 times. "The Addict" application can usually last 2-5 days depending on clients care after service is done. I recommend NOT getting them wet for extra security. Mink Lashes are re-usable up to 20 times. "Crave" Dope" OR "Junkie" Initial application can usually last 2-5 days depending on clients care after service is done. I recommend NOT getting them wet for extra security. Mink Lashes are re-usable up to 20 times. This service includes...Consulting with bride on desired makeup look on her wedding day, Trial makeup of whats discussed, 2 lip color changes ONLY. No eyesshadow or foundation will be changed, if so additional charges will incur. Application of standard strip false lashes, usually last 1-2 days depending on clients care after service is done. I recommend NOT getting them wet for extra security. Strip Lash is provided with service. Lashes NOT included. This is ideal for Sweet 16 Parties and Quinceaneras. A natural makeup application with a hint of Glam. 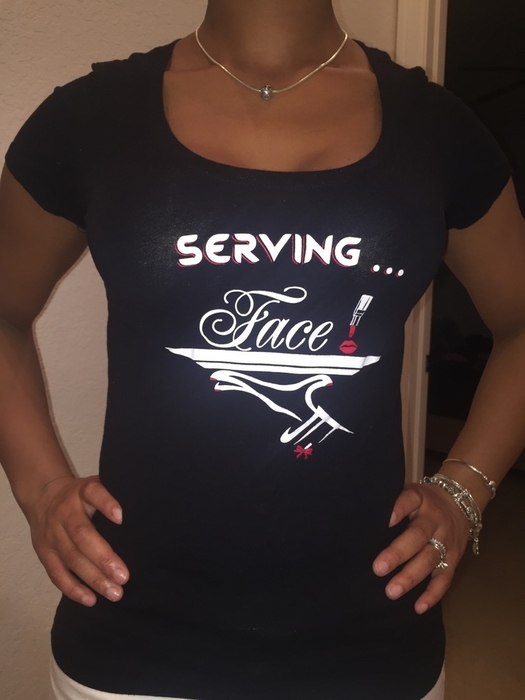 How-to-Serve Face! "Girls Night out"
This will be a private learning session for approximately 2 1/2 hours with you and a few friends. I will teach and host a "Girls Day/Night Out" at my location featuring makeup with a focus on a "day-to-night" makeup eye look and discussion the basics of makeup application. This is a Private One on One class with you and I. We will discuss and learn the basics of makeup application including eyebrows, eyelashes, eye shadow, concealer and foundation. You WILL need to bring your own products that we can work with and we will help build you a bigger and better personal kit from that. We will also do a makeup bag clean out. This will be a private learning session for approximately 2 hours with you and a few friends. I will teach and host a "Girls Day/Night Out" at my location featuring makeup with a focus on a makeup eye look and discussion the basics of makeup application. Use for one or multiple services up to $50! Cosmetic Addict Lashes in "The Addict"
Cosmetic Addict Lashes in "Dope"
Cosmetic Addict Lashes in "Junkie"
Style and Grace will you Serve Face! ?